When the United States entered World War I in April 1917, the Federal Government was faced with the monumental task of mobilizing American society. Early in the war, President Woodrow Wilson appointed a Committee on Public Information headed by journalist George Creel to lead the propaganda effort. One way for the Government to get out its message was the poster. Noted artists volunteered their time and talents to the committee and designed posters urging enlistment in the armed forces, conservation, industrial mobilization, subscriptions to Liberty Loans, and other patriotic duties. 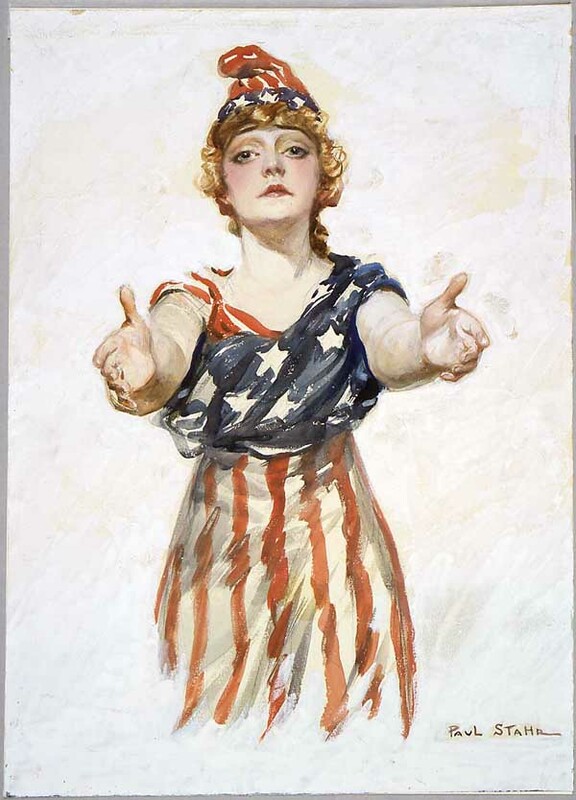 Paul Stahr's design for "Be Patriotic" is typical of many World War I posters. It aimed to be spiritually uplifting and depicted the ideals for which Americans were fighting.